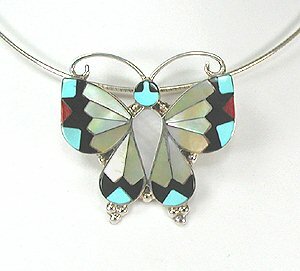 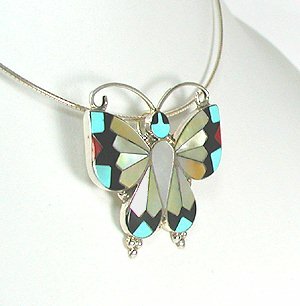 "What a beautiful pendant! 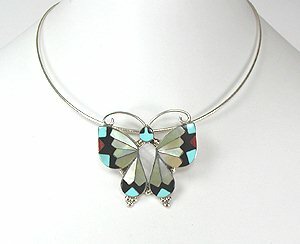 The irridescent shell changes with the angle of the light making the inlay panels lighten and darken in turn - like butterfly in flight!" 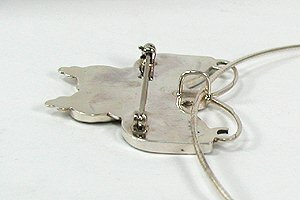 The bail has a 3/16" opening that lets you wear this pendant with a chain, cable, or collar as shown here.